A few airlines allow you to check your position on the standby list using, an App, their Web site and/or airport gate flight displays. This series will highlight these in order to ensure that you have a better standby experience. 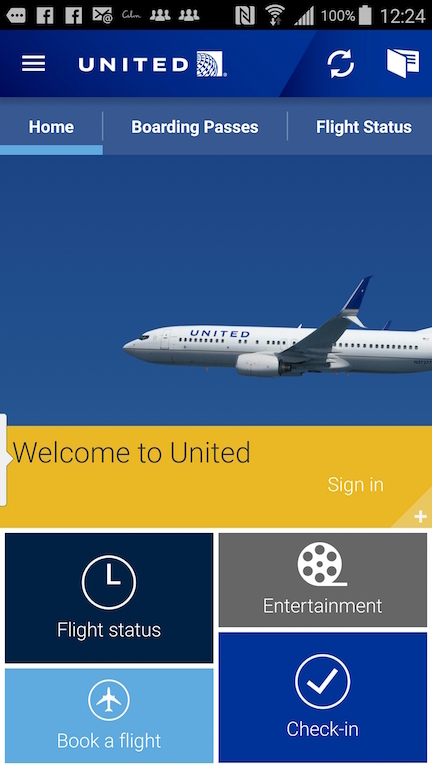 First, download the United Airlines App: Apple IOS | Android | Windows or Go to this page on the United.com Web site. 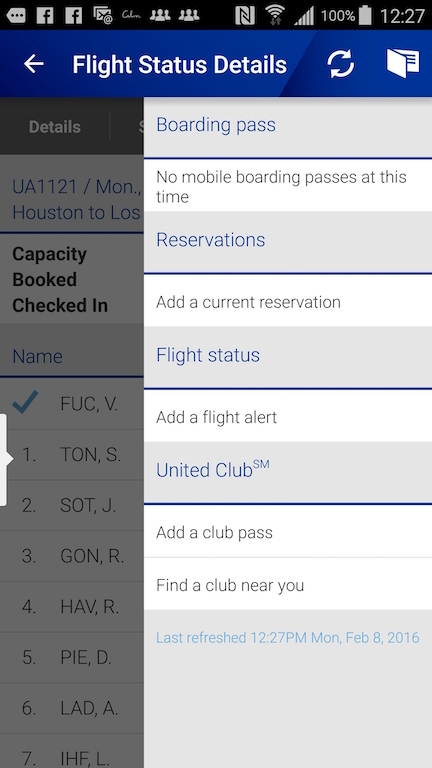 Once you install and load the App, you can click on the Flight status link to check the status. Note: You will see the flight loads when you check-in using a non-revenue reservation. You will need your confirmation number and last name for this option. The Application also shows you your position on the standby list as well. 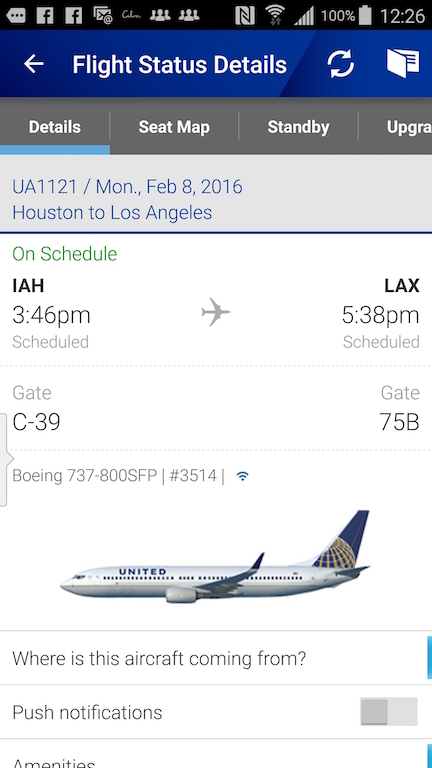 I know that as a United employee and its Express partners you will see the actual flight loads. I’m not certain what you see if you are from another airline. 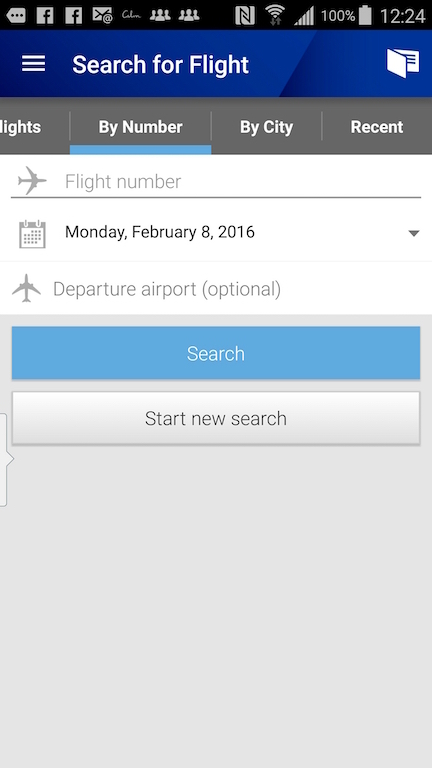 Enter your flight number and choose your travel date then click Search. If your flight serves multiple airports, then enter the airport from which you are departing. Typically that field can be left blank as you will be asked to differentiate the flight on the next screen if your flight traverses multiple airports. Showing airport standby list only works for flights that are operating yesterday, today and tomorrow. 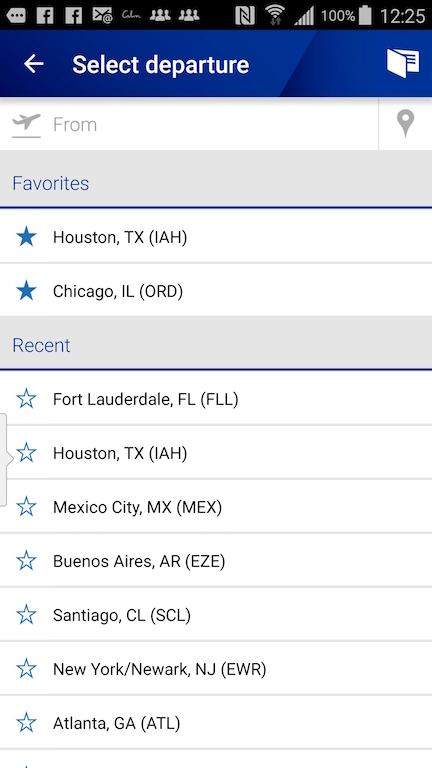 This is the screen you will see if you are searching for your flight number using the departure and the arrival cities. Once you receive your list of flights, choose the one one which you will be flying by touching it. This takes you to the Flight Status Details page as shown above. An important feature on this page is the “Where is this aircraft coming from?” link as it will tell you if your inbound flight is delayed. 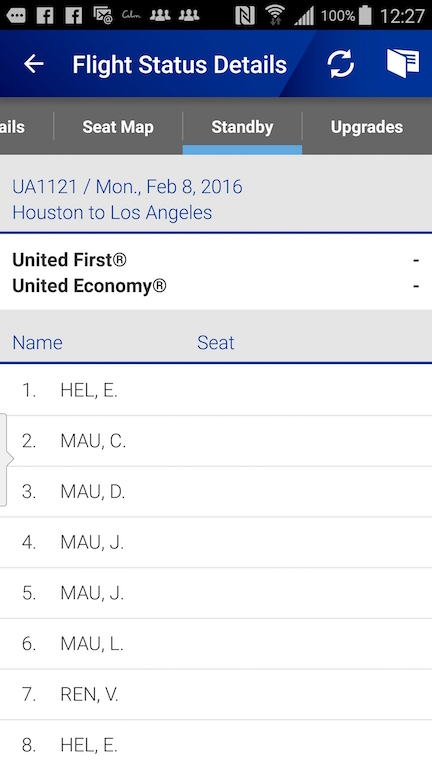 The Seat Map tab shows you the seats that’s been assigned in all cabins of the airplane. Note, it does not show the flight loads; also its only the assigned seats it shows not the booked ones. 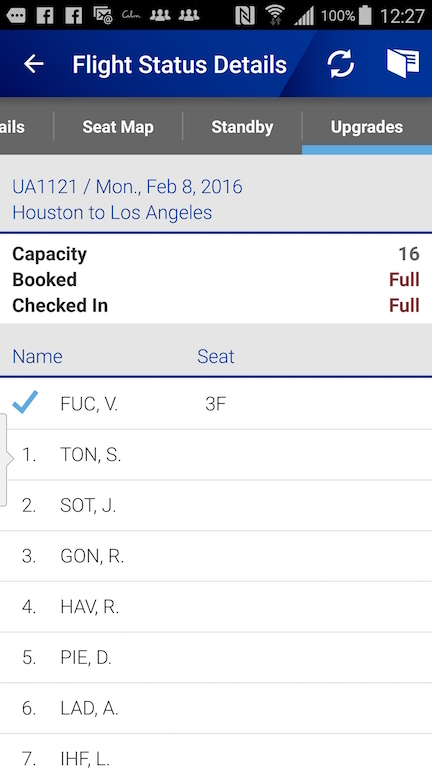 Bear in mind that many unassigned seats may show but the flight could be full. This is your most important screen as it tells you where you are on the standby list. It will also tell you whether your cabin is Full or has Available seats. This particular example, does not, but usually you will see it. Full is burgundy and Available is in Green. Full can mean overbooked just so you know. Once you are cleared, you will see a seat number next to your name and if you refresh your boarding pass, your new seat will show up. The Upgrades tab is the only place you will see any load information. It will show the Capacity of the cabin, the booked and the check-in numbers. These are usually very accurate and matches the First Class/Business class seat maps. Once you are cleared, you will see a seat number next to your name and if you refresh your boarding pass, your new seat will show up. 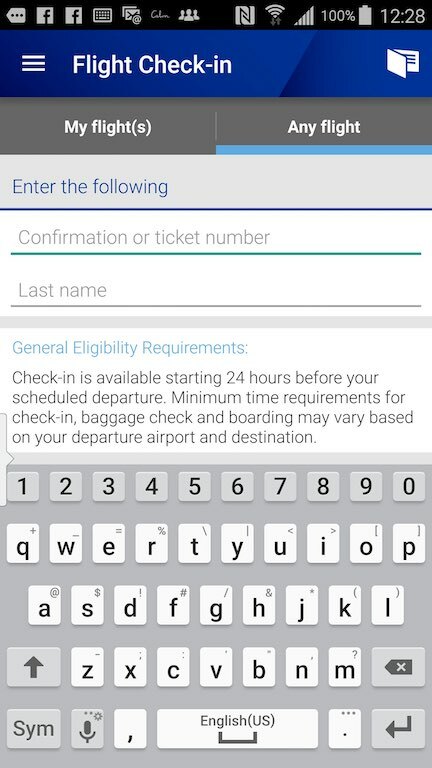 If you click on the icon under the date in the upper right hand corner, you will be able to see all your boarding passes and itineraries. You can choose to view them as well. Now for the Web site. 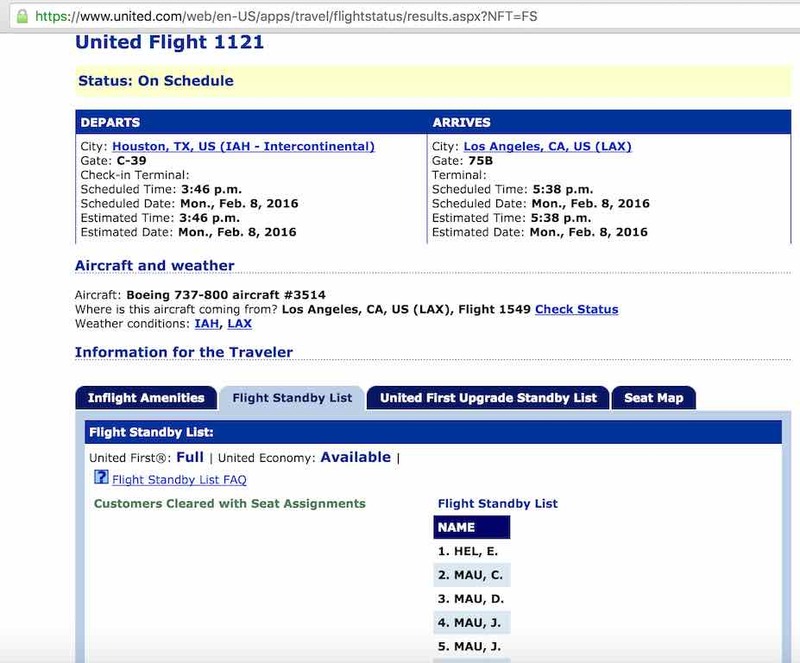 Click on Flight Status from the home page of United.com. The above screen will be shown. 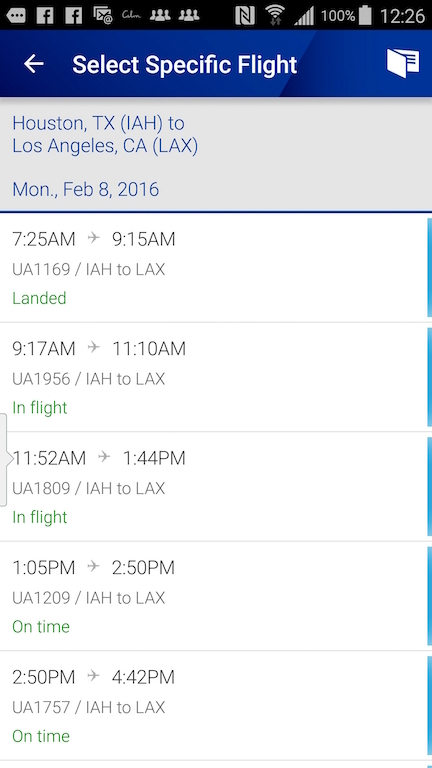 Now enter either your flight number and dates or your city pair and dates. Once you enter a city pair, you will see the screen above. Choose the flight on which you will be traveling. You will then be presented with the flight status information for that flight. The Flight Standby Tab shows you all the names on the standby list; those with a seat will see their names on the left side with a seat assignment next to it. You can tell if the cabins are full by the words “Full” and “Available” next to the appropriate cabin. 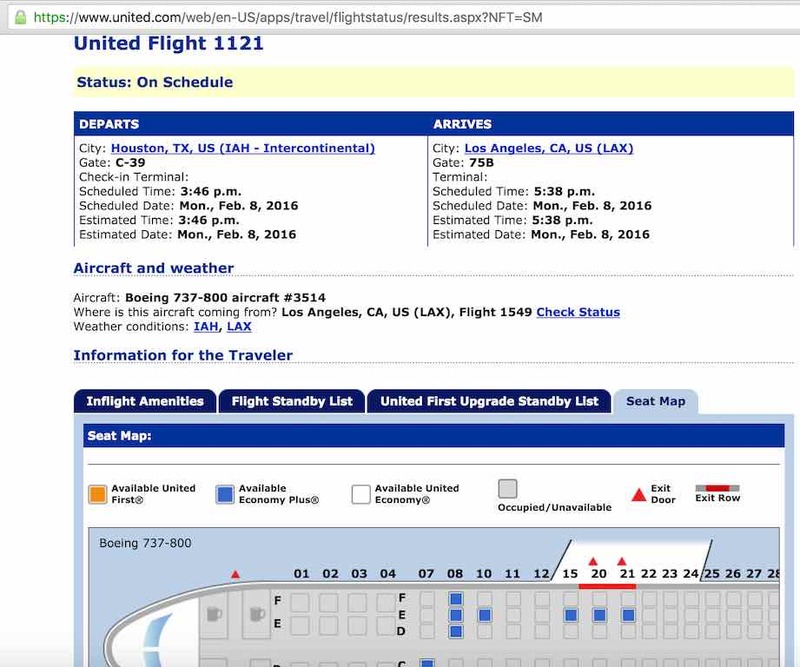 The “Upgrade Standby List” tab will show all the passengers waiting for an upgrade to the forward cabin(s). You will also see the capacity, booked and check-in numbers as well. Note that some airplanes do have First, Business so you will see that reflected here. Here you will see the actual seatmap of the flight in question. Use the key to advise the types of seats available. Note that this shows seats that are assigned. It is not necessarily an indication of how empty the flight is. So don’t use it for that purpose. At the airport you will be able to see the same screens as the Web site on the screens that are at the gate. If you like this information please share with your fellow passriders as well as leave a note below and let me know what you think. I have found that United’s totals are sometimes very far from accurate. They will show a full or oversold flight and then there are 15 open seats when the door closes. Not sure why this is. They however never seem to be fuller than advertised, but often less so…anybody know why this could happen? You see this discrepancy as there are misconnects that don’t make the flight. This happens with all airlines. Is there a way to see if misconnects are going to happen. 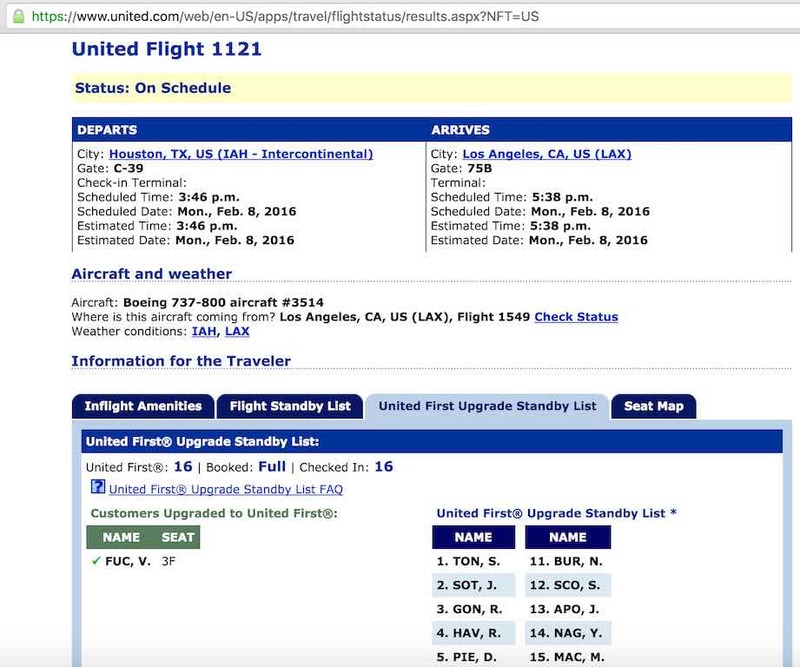 Something has been happening in the system where a flight will show oversold by 27 people. Years ago this would mean no passriders would get out for the rest of the day as the 27 overbooked rev passengers would be rolled to the next available flight. I managed to get on the next flight. How could that be possible? 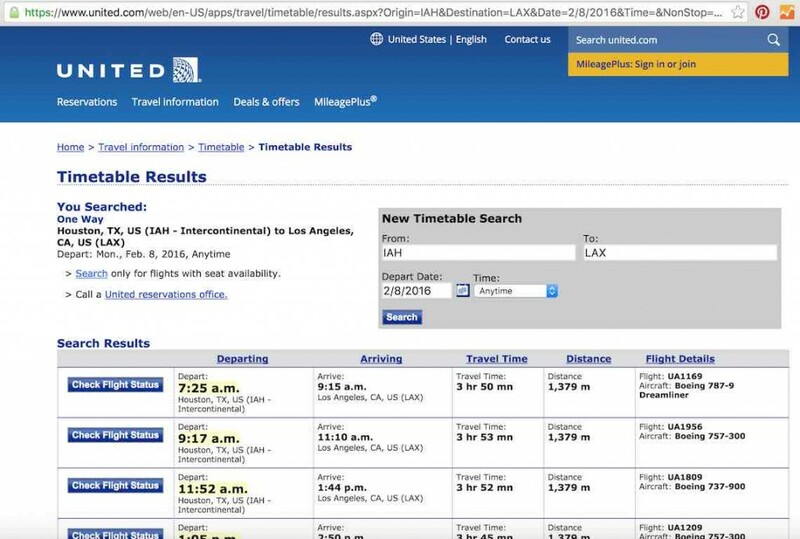 United has made it difficult to truly predict how available a route is. It seems like every flight now is overbooked by at least 4. You cannot see this misconnect information unless you have access to the backend system Alexander. Sometimes when passengers misconnect, they have to be rebooked as the next flight won’t work for them. Also sometimes they have to be booked on other airlines in order for them to get to their destination. Predicting the show factor on a flight is still not an exact science I’m afraid :-). My friend is an employee at united and I am his primary buddy which means I can fly on standby on available flights. My question is when I pick a flight it’ll say my position on the standby list and how many seats are open. I get confused when I see a flight with 30 open seats but it says only 3 are available. What does that mean? It could be that the agents have blocked the seats for airport check-in or some seats are being held. 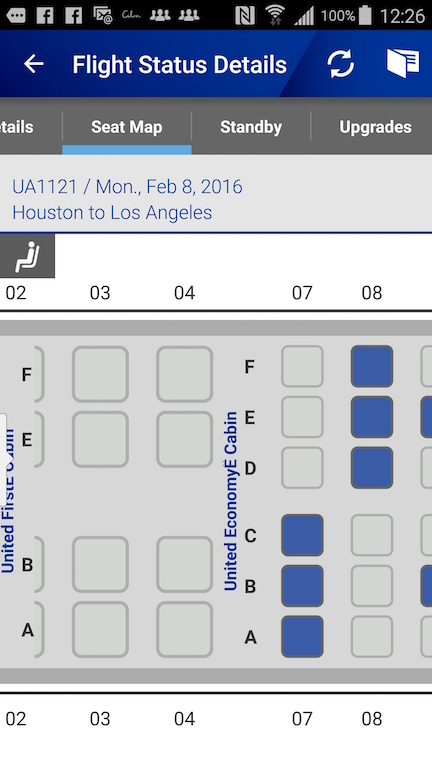 on the UAL app, what is the difference between the blue seats and the white seats? Are the blue assigned but not checked in or is it the other way around? Great question. The blue seats are the extra legroom seats (Economy Plus) which you can purchase or are assigned to frequent fliers that are Gold status and above at no charge. We have purchased two discounted first class seats from SFO to Maui. How soon can we choose our seats? i would be considered a passerby and want to fly out of Savannah to Colorado Springs on 12/23 and return on 12/26. I am a little worried about being on standby because I have a standing appointment on 12/28. What are your predictions and/or experiences traveling standby around the holidays. 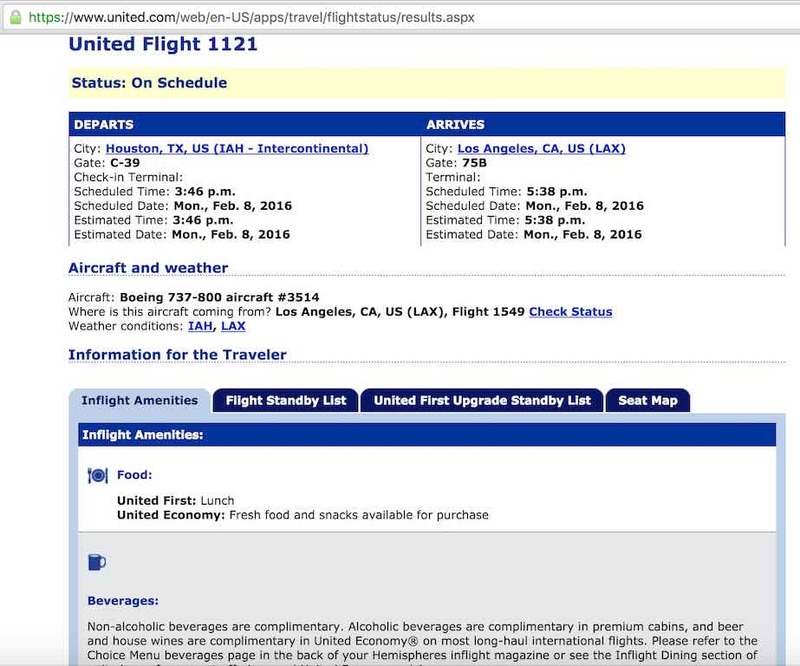 For United, I would ideally like to fly First Class. Can I sign up for standby for First Class AND Economy (just in case I don’t get a first class ticket)? If I do this, would I “check in” for both standby tickets? Or if I only sign up for First Class standby, and I don’t get a First Class seat, would they automatically give me an Economy seat if available? There are basically three types of stand-by travel. 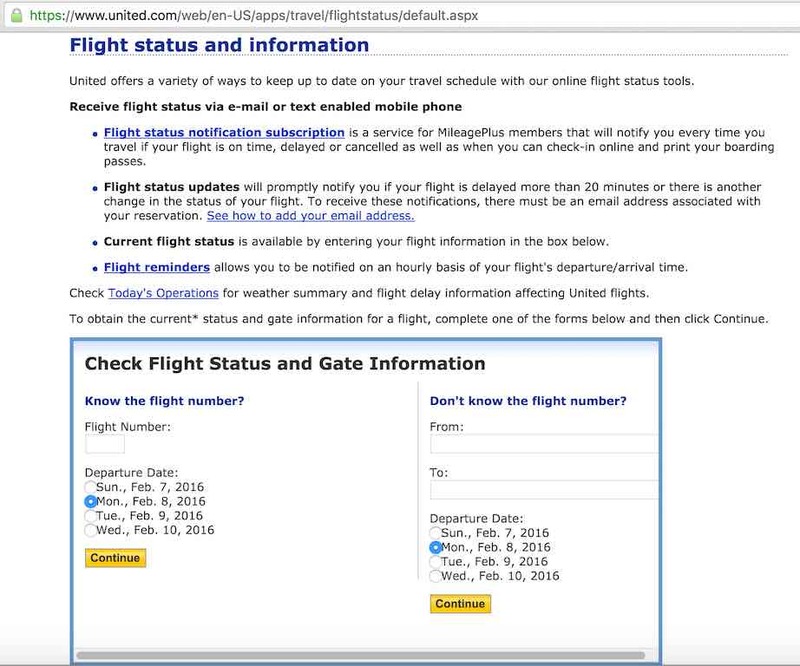 Involuntary standby customers – Customers who did not travel on their original flight because a flight is canceled or an itinerary is changed by United. If you had purchased a first class seat for the original flight, then the airline will try to place you in the same cabin. If loads do not permit this on the new flight, you can request a refund through the airline website. Voluntary standby customers – Customers on eligible fares who are voluntarily standing by for a different flight from their original flight. Again, this depends on your original purchase. If unsuccessful you can request a refund. Passriders – United employees or their eligible dependents standing by on a space-available basis. Pass riders are prioritized last, and are only assigned seats after all other standby customers are accommodated. I think this may be the root of your question. As a Passrider, you can request, and pay, for any cabin classification. However, you are placed on the standby list without cabin priority. In other words, you are waiting for a seat, whether it is in premium cabin or not. As space available seats are cleared by the gate agents, you will be assigned a seat depending on your status/seniority/cabin request with the airline. So, at the core of your question, if you prefer/hope for a premium cabin and are flying as a Passrider, make that request. It will automatically place you on the standby list for all cabins. If Economy is all that is available, you can request a refund for the change in cabin. There is a gray area that could benefit you if you requested premium cabin, the other Passrider passengers did not do so, and there are only premium cabin seats available. If you requested and paid for the better cabin and they did not, there is a chance you could trump them on the stand-by list even with less status/seniority. Rare, because of potential revenue passenger frequent flyer upgrades, but possible. Just note that you do not need to double book standby for each cabin class on a flight. Start with what you prefer and can afford. The gate agents will sort it all out based on a strict hierarchy of boarding priorities. Then you can seek a refund if necessary. Re passrider issue: If service charge is paid through payroll deduction, the cost of class actually traveled will be deducted. Other instances you must hedge in hopes of getting front cabin, and pay service charge at time of listing. But if you end up in ccccccoach, there is no partial refund. When booking a flight using United Airlines standby list there are two areas that I can not find definitions for. PS and SA and F/C/Y are directly underneath which means (F)First/(C)Business/(Y)Economy. So what does the PA and SA stand for? PS is Positive Space (must fly) and SA is Space Available (the rest of us “hopefulls”). I have the same question. What does “Group” mean? I was wondering the same…. Where are you? I have the same question Connie and Ray asked, but is unanswered. We are listed on a flight today that had 12 seats around 1am, but now is showing oversold but has a Group 10 catagory in the Boarding Totals. Is this Group 10, reducing the available? Are they confirmed passengers? The seat map still shows 8 seats unassigned. Are they holding them for this Group? It is difficult to know what the real load is without knowing how this Group total is treated in available total. Please let us know what you find out. The flight loads will always change up to the point of departure for many reasons. The Groups will reduce the availability on all airlines as they are a part of the total seats booked. The seat map does not really tell you much in terms of how full the flight is as some folks my not have picked seats. So its just an idea of the seats that have been assigned not how full the flight will be. As sometimes the seats are blocked for various reasons as well. Hope this helps somewhat. More about Group bucket: they are a bonafide group traveling on a flight. Important to know, as group counts are highly accurate. They don’t fall apart, and they are never no-shows. Thus a flight with high group count significantly reduces chances of seats opening up at last second due to no-shows or rebookings. PS is positive space and SA is space available. I don’t know all the rules, but PS seems to be for employees traveling for work or someone may be traveling for family emergency. SA is normal standby. PS gets seats ahead of SAs. I retrieved this info. PS: Positive Space – Generally paying passengers with guaranteed seating but who have no seat assignments. These folks should get seat assignments before those on the standby list. I am an airline employee who has booked a ID90 ticket on your airline for 23 and25 of March. How can i list myself and check the load before i proceed to the airport? It’s necessary to contact United at 1-866-FLY-EPASS to list. Ask them about the Loads as well. My wife and I have flown non-rev for a number of years; our son is a Captain for ExpressJet. The last two times we have run into the necessity to cancel an itinerary, and re-book as our schedule and loads permitted. The time before last, we had wanted to pay the extra for upgrade to First Class, so we booked–and paid–accordingly, but as so often happens were not able to get FC on any of the legs we ended up getting seats. I tried for a few weeks to get the FC difference refunded, and was almost successful, but ended up quitting in frustration after several attempts via phone calls and email, as well as filling out numerous requests at a UAL Refund Site. We did finally end up getting just about all of it refunded–UAL still owes us approximately $15.00 for that trip–but it was SO frustrating I just let it go; something our son warned we might end up doing. Now, just last week, we were flying to Hamburg NY, to visit our family, and booked Round Trip, but as on previous occasions, had to cancel itineraries and re-book as our schedule and loads required. I guess, seeing as we hadn’t even tried to mess around with getting FC, we were thinking that getting the unused legs refunded would be no big deal. Silly me! We were charged for everything, and refunded for part of it. There is still close to $150.00 that has not been refunded, but this time I can’t let it go. At the risk of being odoriferous, I’m going to pursue it and get all of our money properly and fully refunded. I found this Forum, while searching for the UAL Refund Site–which I haven’t found yet–and am hoping to get some help & answers from whomever is the Moderator. If you could, please advise, and help as you are able. Thank you. Sincerely, Clayton. ALWAYS list one-way for your passes. There’s never a financial savings by listing roundtrip. One-ways can be cancelled and new listings more easily made if last-minutes changes are needed. What is a “held” seat? Usually occurs in first class, to hold a seat for revenue passenger if they must involuntarily upgrade someone from the back due to oversold situation in coach class. What does the upgradeable Standby numbers mean to the non rev passengers when checking flight availability. For example, there are 14 premium seats available, with 2 non rev’s listed, however there is a column for Upg and it list 14. Would that mean that there are 14 upgrades in line ahead of the pass rider list. Or does it mean there are 14 seats available for upgrades? I also notice there is RSB listed. How can this affect our flight choiced? This number is the number of revenue passengers eligible for an upgrade on the flight. And yes to your question. There are 14 seats available for sale or upgrades and 14 revenue customers are eligible for those available seats. The RSB are revenue standbys who will go ahead of the non-revenue standbys. Hello! If it says 4 available seats, in yellow, does that include passriders listed or not? Available seats are based on revenue passengers only. Unless the standbys have been assigned seats. And then you will see seat assignments in the Standby area.